Sit On top Kayak removable seats, Angler Seats and Deluxe Seats. 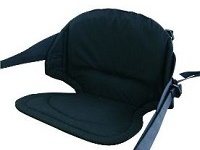 Make yourself more comfortable when out on the water with one of our range of sit on top kayak seats. These seats fit most Sit On Top Kayaks. If you are which seat will fit your Sit On Top Kayak please give us a call on 01202 625256 and we will be happy to help. back support making your paddling trips more comfortable. 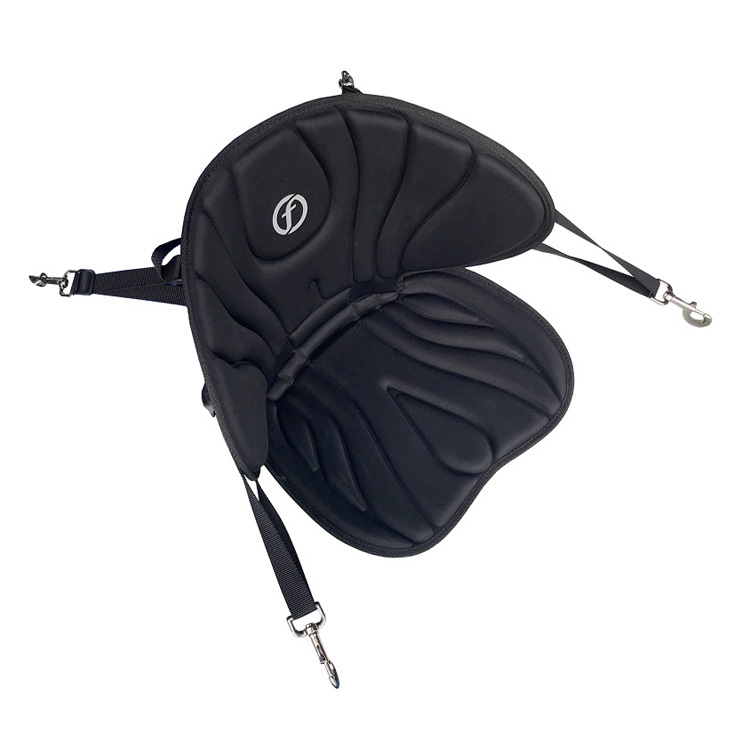 The Canvas seat features a useful pocket (not waterproof) on the rear of the backrest. support for a very comfortable ride. Made from quality material that maintains its shape.Easy to clip on and off with four attachment points. best comfort possible.The backrest section has a unique construction with an internal skeleton to prevent sagging and collapsing. The seat can be adjusted to the perfect fit using its multi-point adjustment system. 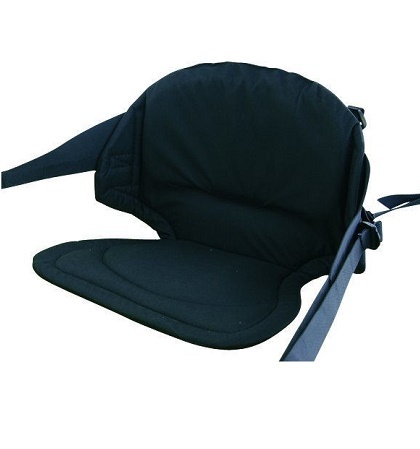 The seat base is wedge-shaped to provide extra comfort and support for your legs.